The new generation of industrial vending systems is here – Internet-Based Industrial Vending Machines. Easy to use, easy to implement, and easy to afford. 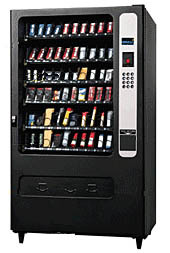 The Carbide and supply vending solutions might be just right for your operation. Just plug into a power outlet and connect to the Internet and your vending system will be up and running. Important Information such as real-time usage, inventory list and restocking updates is available anytime, anywhere from your browser. Our solutions bring proven simplification to the distribution and management of MROP(Maintenance, Repair, Operating and Production),safety and tooling supplies at the work cell. We consistently deliver the industry’s highest ROI with solutions that are easy to use and easier to implement and are the industry leader in interfacing POU solutions with existing ERP and supply chain systems. SupplyPro’s Automated Dispensing Systems are ideal for the management of MROP (maintenance, repair, operating and production) materials, safety and personal protective equipment and tooling in a wide variety of environments. With SupplyPro devices you can provide employees access to all of these types materials at the work cell to do their jobs efficiently, effectively and safely. Accurate, real-time information makes it easy to stay on top of your business. You get up to the minute info presented exactly the way you want to see it. Call 1 (800) 443-4873 to order or learn more about industrial vending machines and solutions. Ask about availability or place an order at (281) 819-8000. Please note that stock on ATC does not denote current C&S stock.